It hasn’t felt much like summer over here. The pool is up, the flowers are planted and beginning to blossom, but it is 52 degrees and the rain is cold! I am left to ponder the question, where is summer? The good news: Rainy days are a great time for kids crafts. All the more reason to plan a project the toddler apprentice and I could accomplish together. The little one loves to watch The Disney Collector on You Tube. The DC Collector has become a bit of an internet phenomenon among the five and under crowd, and my daughter is no exception. She enjoys watching those carefully manicured hands opening and revealing various toys and treasures. It was while watching these videos my daughter discovered her love of Angry Birds. The birds must be angry that the weather has not been cooperating! They could sure use a house I thought to myself! 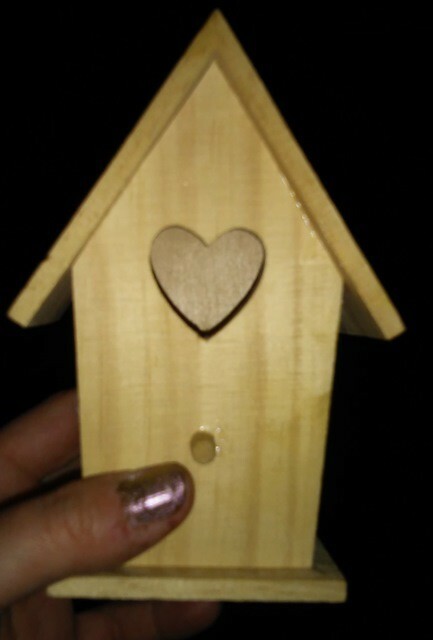 I also thought decorating a bird house would be fun project to do together. I purchased an unfinished, wooden bird house at Joann Fabric. They were on sale for .99 cents. 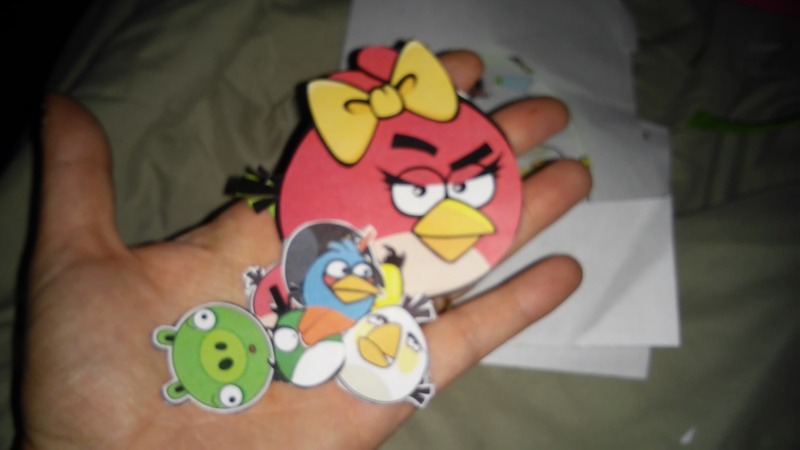 I then went online and downloaded some Angry Bird images. 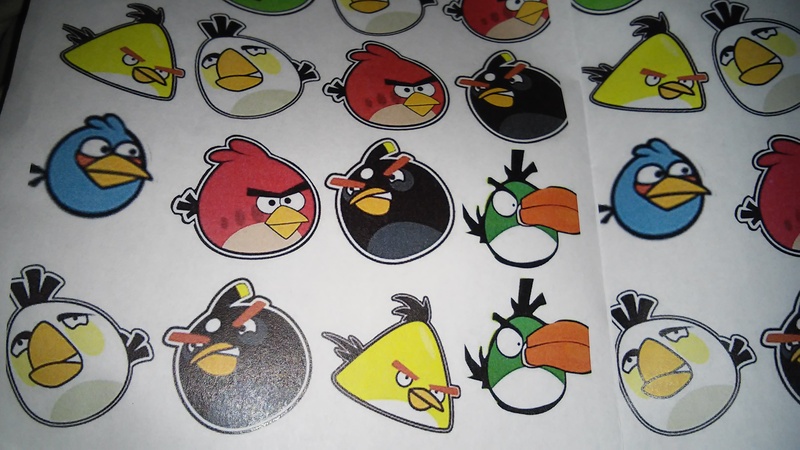 You can use character stickers if a printer is not available. I cut the images out with a pair of scissors and placed them aside. 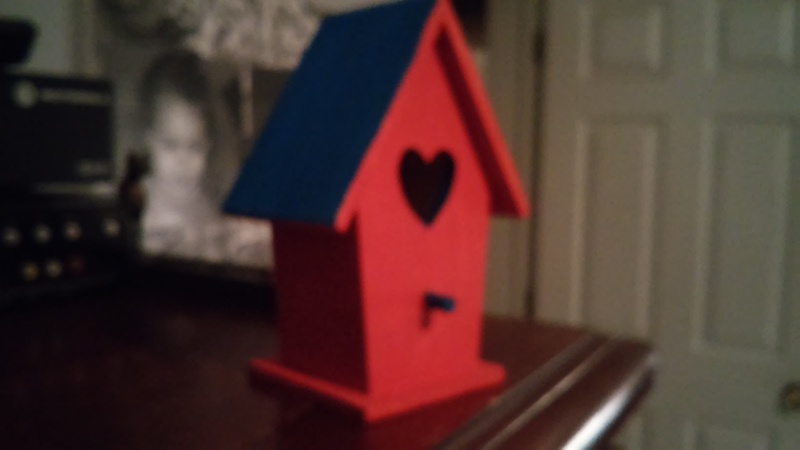 We painted the bird house together using red and blue acrylic paint. It required two coats. We then placed the painted bird house aside to dry. 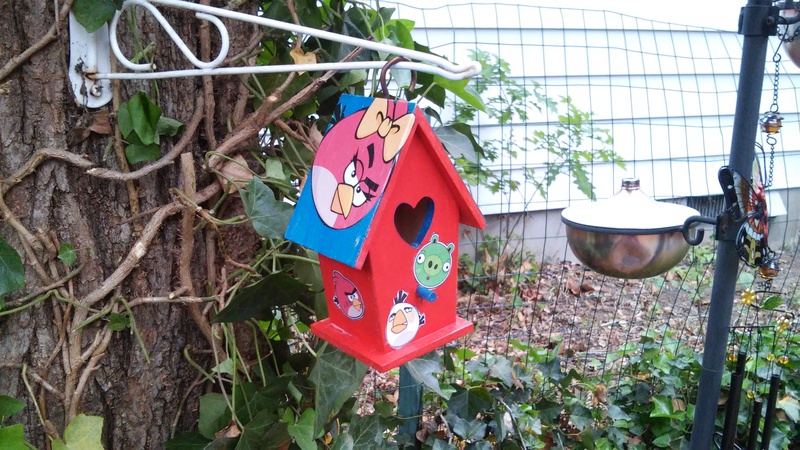 Once it was dry, I used Outdoor Mod Podge to apply the images to the bird house. I then added a layer of Mod Podge over top of the image. Although Outdoor Mod Podge provides added protection from the elements, if left out it will eventually weather. I added a coat of polyurethane to provide additional protection and prolong the life of the bird house. Once the bird house was dry we used a “C” Shaped hook like this one to hang it. Lets hope that now that our little backyard friends have a place to call home, they won’t be such “Angry” little birds anymore…. Thank you! Hope all is well mtetar! Thank you for your positive comments and for stopping by. The bird house looks great, UpMom. And will we find Summer 2015? Brrrrrrrr. Mark this is crazy, it seems as though mother nature forgot what month it is! Hopefully she will figure it out soon! this is such creative and practical….WOW …You have such great blogs.